As a 3D guy I mostly draw dirt, dust, cracks, wrinkles, splotches, pimples, grease, puddles, wear, tear and the like but I can draw by hand. I've worked in colored pencil, charcoal, cont� crayon, pastels, acrylic and egg tempera. Most of the pics on this page are just doodles I did in the 1980's but they show my naughty-poo imagination at work. 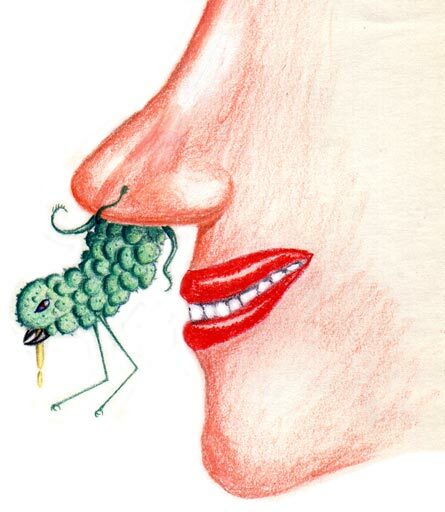 I mean, if you are offended by snot monsters living in people's noses then get the !#$% out of Hollywood! 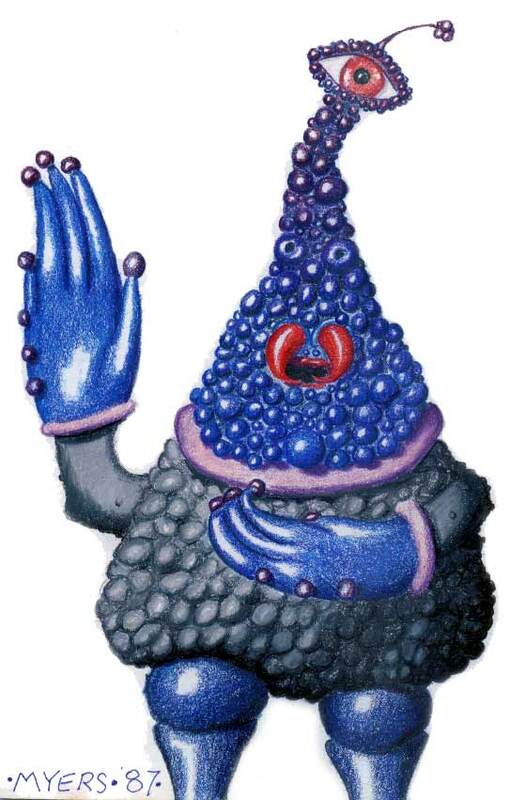 He's a happy color pencil alien! 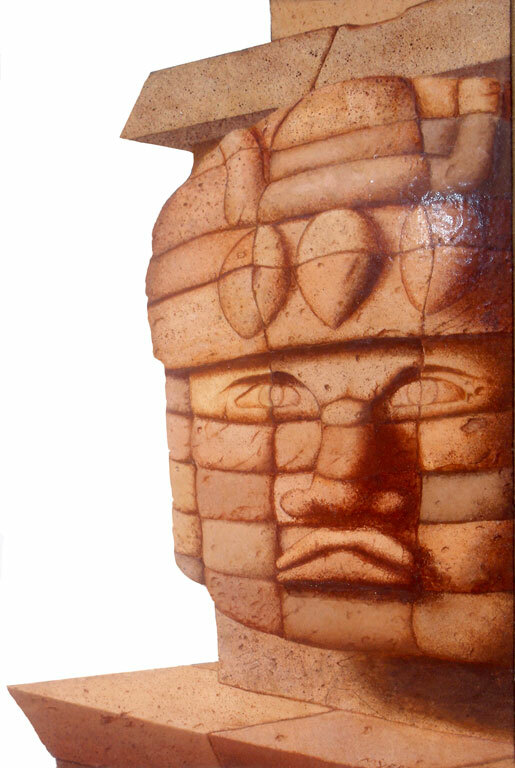 This egg tempera painting features a modified Olmec Indian head. It took 3 mos. to paint in college in 1983-84. Already you can tell I was going to grow up to be a matte painter. 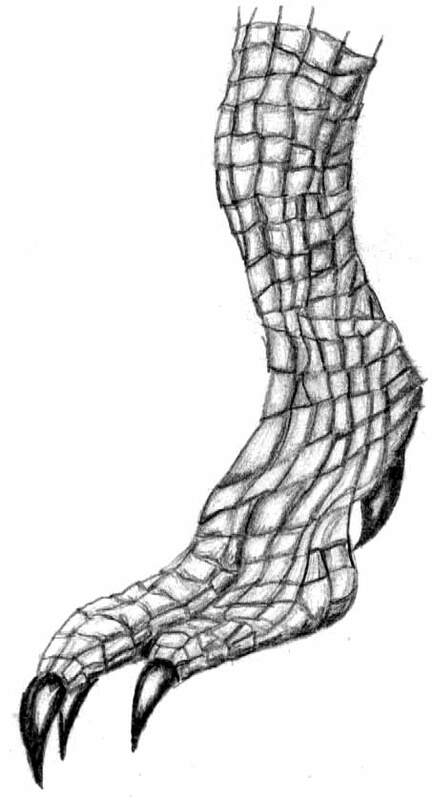 I doodled up this dino foot without using a reference or knowing what it is attached to. 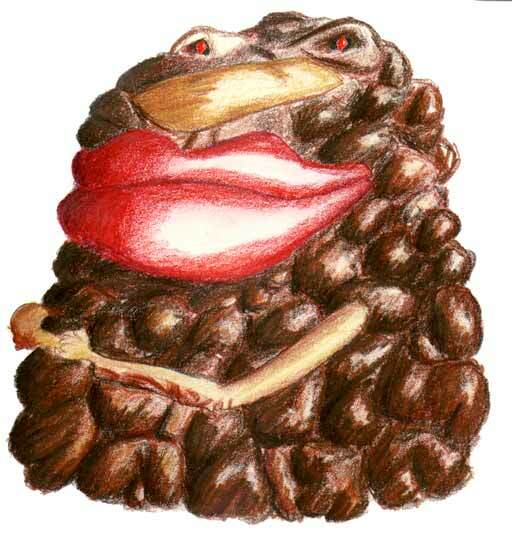 Some poopmonsters have Mick Jagger lips. Decades after I drew this I am still poor at drawing people. Fortunately my interests lie more in the kinds of monsters that crawl out of their noses. And if I need an image of a photorealistic person I'll just take a photo.